Candace Horgan is a ski patroller at Echo Mountain and the communications director for the National Ski Patrol. She has competed in the Telemark Extreme Tour, and usually logs over 50 days of skiing a year. As the communications director for NSP, she oversees the writing, photography, and editing for Ski Patrol Magazine. She has also written about skiing for Telemark Skier, the Denver Post, Westword, and Wild Snow. Below is a small sampling of Candace’s ski writing. Click on the images to read the articles. Ski Patrol Magazine covers a wide variety of topics related to ski patrolling, including Outdoor Emergency Care, Mountain Travel and Rescue, patrolling history, and more. 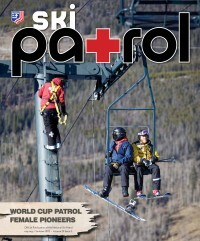 In this issue, Candace Horgan wrote an article on the race patrol that works the Bird of Prey downhill race at Beaver Creek. This is an article that Candace wrote for the Denver Post on telemark skiing, which covered what the sport is, its origins, and why people pursue it. Wild Snow is an online blog run by ski mountaineering pioneer Lou Dawson. 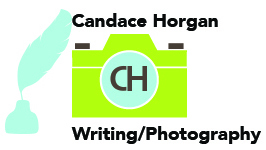 Candace has written several gear reviews for the site. Review of Icelantic’s Oracle skis. Review of Flylow’s Ginger pant. In 2009-2010, Westword, a Denver weekly, ran an online blog devoted to mountain sports. Candace wrote for the blog during the season, posting 3-4 times a week on a variety of topics related to skiing and mountaineering. © Copyright Candace Horgan, 2017.